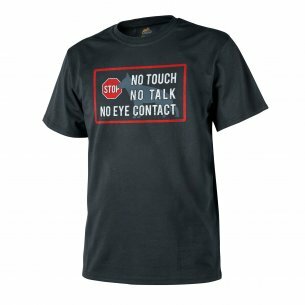 T-shirts are one of the favorite clothes of most men, they are practical, very comfortable and work well in many situations. T-shirts for athletes, including sports shooters, are particularly important. A lot of effort accompanies the dynamic shooting, during which the shooting course should be overcome as quickly as possible. However, Helikon Tactical Men's T-shirts will not only work in this case. Helikon-Tex Tactical men's T-shirts - what distinguishes them? 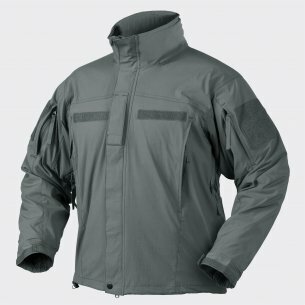 The Helikon Tactical men's shirts offered in our store are manufactured by Helikon-Tex. 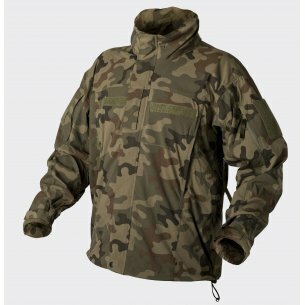 The company has been offering the highest quality tactical clothes since 1999, which thanks to its property has pushed the brand to the position of one of the market tycoons. The tactical shirts produced by the company meet all the requirements that we can have in relation to the men's t-shirt. They are made of a modern polyester variety finished with the TopCool technology, which gives it thermoactive features, and supports water drainage, so that the shirt stays dry for a long time. In addition, the right sleeve has a zippered pocket and a sunglasses holder that significantly improve the practicality of the Helikon-Tex tactical t-shirt in many situations. 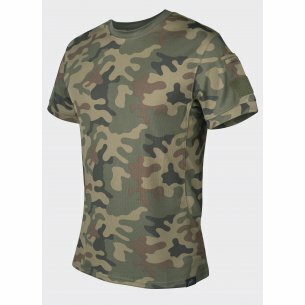 They are available in a series of great, military colors, from camo shirts with several camouflage patterns, through shirts in shades of military green, sand beige, through navy blue grenades, to universal and liked by many men black color. That's why everyone can choose the model according to their taste and preferences. Helikon-Tex tactical T-shirts can be worn on a daily basis, their thermal comfort and dryness material, work well in the office, as well as during travel or even physical work, a comfortable t-shirt is the basis to feel every day, the Helikon-Tex Men's T-shirts will do just that. Diversified colors will allow you to buy a t-shirt in colors that match our style. 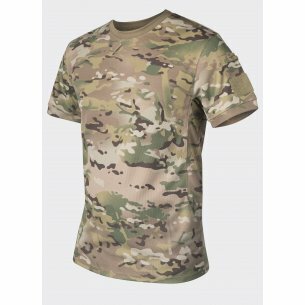 If you like military style, the offer includes camo shirts, military shirts in green and sand colors. If we dress more civilly, blue, navy and black shirts are available. ... and for special tasks. 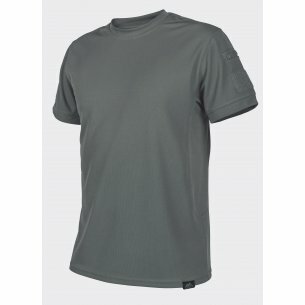 Tactical T-shirts, however, are primarily a product for special tasks. They are perfect to wear during training and competition at the shooting range. The previously discussed properties of the material from which they are made guarantee that even long and heavy shooting training, whether for static or dynamic shooting, will not cause it to get wet from the sweat secreted by our body. On the other hand, perfect flexibility and adherence to the body will make the clothes uncomfortable for our movements. The same properties also make Helikon-Tex men's shirts work well in the service (police, property protection, VIP protection, army, special services, or even forest service). Helikon-Tex tactical T-shirts were designed taking into account the experience and requirements set by operators of such institutions, which is why they will be a great choice for professionals, shooting sports players at every level, as well as amateurs who value quality and comfort. Tactical T-shirts offered by our store will also meet the requirements of survival lovers, working on long expeditions to the wilds, quality and durability will make sure that the shirt survives such a trip with us and will be ready for the next one. They will also be an extremely practical and stylish addition for people who play in ASG, where you will be able to fully use the properties of tactical T-shirts designed for use by firearms. 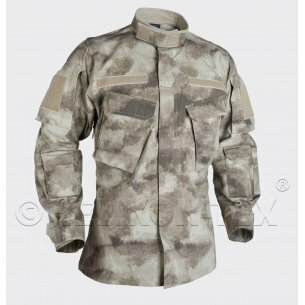 For such people, the purchase of the Helikon-Tex military shirt is also a great way out of the style and visibility in the forest, good camouflage will allow you to hide better during ASG matches, which together with the comfort and toughness of your shirt will have a positive effect on results. Helikon-Tex Tactical men's T-shirts, also prove themselves as a comfortable outfit for other sports, daily jogging, long-distance running, team sports, as well as in the gym, where we particularly appreciate TopCool technology. 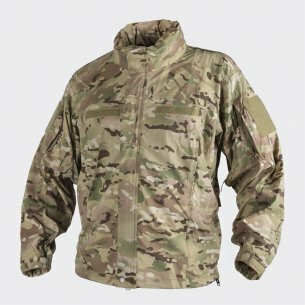 Thanks to this, we will not have to have special sports shirts, because Helikon-Tex tactical T-shirts perfectly replace them.